Have you ever thought of riding a bike on Mars? Yes, it's possible! Our Galicica is even redder than Mars! The tour starts with transporting the group by coach and the bicycles by van to the Galicica pass, 38 km from Ohrid. A short break is taken at the springs at Korita and the Koritski rid viewpoint. After that the road goes on to the pass at an altitude of 1580 m a.s.l., which offers unforgettable view to the Lake Ohrid and all the settlements on both Macedonian and Albanian parts of the lake shore. This is the starting point of the bike ride. 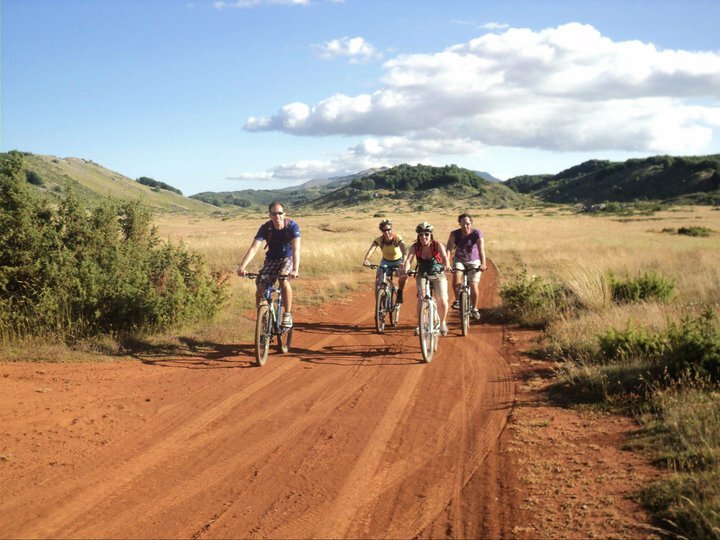 The first section of the ride is a 4 km descent towards Lake Prespa and then a left turn up to the mountain and its plateaus. A short, 2 km ascent will bring us to Dva Javora, the entry point to the meadows and pastures on the slopes of Mount Galicica. The scenery is breathtaking and complemented by the scents of the vast variety of flora, represented by 176 species. 26 of these are endemic to the Balkans, and further 12 are specific to Galicica. 5 km from Dva Javora is the Sarbojca area, one of the most beautiful plateaus of the mountain, with the Asan Djura mountain lodge. 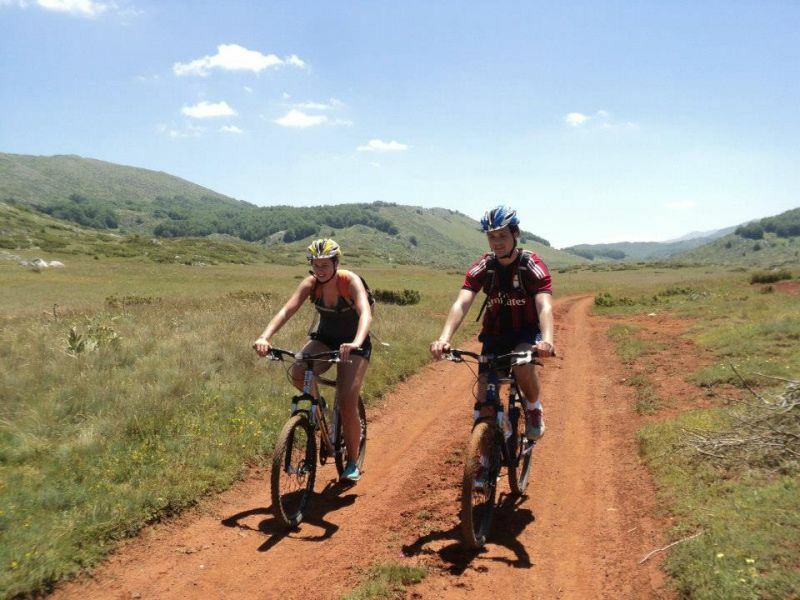 After a short break and the snack, Dofa area is next, with its specific red dirt which makes you feel as if you are riding the surface of Mars. This area is interesting for the natural watering places and the summer sheepfolds. The section that follows is a 1,5 km ascent to the Krstec pass, situated 100 meters higher than Dofa, at an altitude of 1555 m a.s.l. 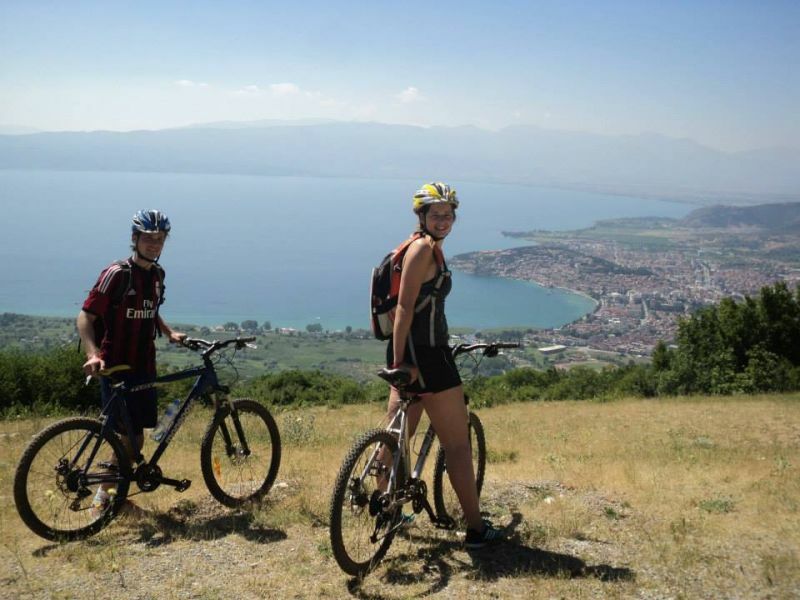 From there, the group will ride down a 12 km distance at an almost 800 meter lower altitude, enjoying the view of Ohrid - the city of light, as well as the surrounding area.